BLACKPINK will release 'Don't Know What To Do' dance practice video. 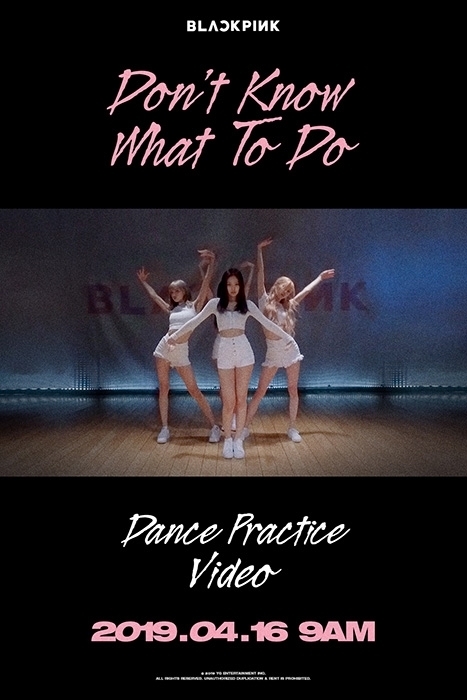 On April 15th, YG Entertainment posted teaser poster for 'Don't Know What To Do' dance practice video on their official blog and SNS. The dance practice video of 'Don't Know What To Do' is scheduled to be released on April 16th at 9AM KST.